I'm not doing very well with posting in July (I've taken another unplanned blogging break after getting a role that has involved several days filming and not having any posts prepared) but I thought I'd pop a quick post up to let you know that The Little Blog of Beauty turns one today! 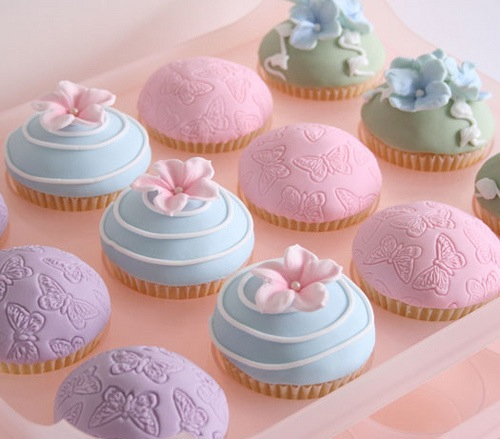 Help yourself to a gorgeous birthday cupcake! I've actually been blogging for just over a year and a half now but I started off on Tumblr and I really didn't like it or feel comfortable over there. My design was awful because I felt so restricted with what I could do with the templates and I don't think people are keen on following blogs based on Tumblr. I made the decision to move my blog over to Blogger and treat it to it's own domain and the transition was completed on 22nd July 2013. So this is the birthday of my new blog. I lost all my previous comments (there wasn't that many!) and a few followers (there wasn't a huge amount of those either!) and some of my older posts aren't formatted very well because of the transition (I don't want to change them as when you hit update it effectively republishes them) but I'm much much happier on blogger. I hope to have a new post up as soon as possible but I may still have a few more days filming left to do yet and although I have a day off today I think I'll take it easy after several days filming and accidentally electrocuting myself when I got back last night! Don't worry, I'm fine, we called the out of hours doctor who sent an ambulance round and the paramedic checked me over and confirmed all was ok.